We have to admit that lately we have not been exactly regular and reliable in delivering our blog posts. But with the vacation season coming to an end, we are determined to recover the good pace. Since the proof is in the pudding, here is our latest report, just one week after the previous one. And talking about the previous report, we presented there several improvements in the YaST Services Manager module, including the new “Apply” and “Show Log” buttons. 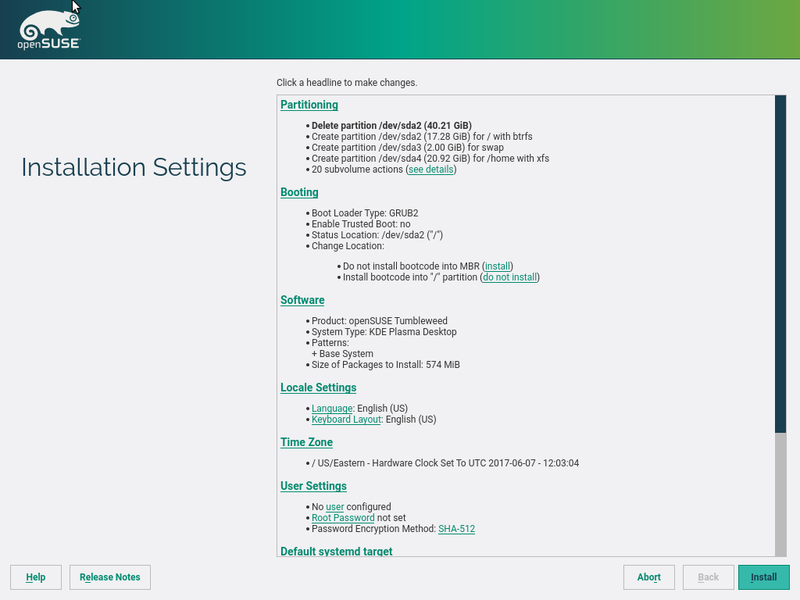 With the “Apply” button, all changes performed over the services are applied without closing the Services Manager, which allows you to continue using it and to inspect the logs of a service without relaunching the Services Manager again. But this new “Apply” button only makes sense when there is something to save, so during this sprint we have improved the UI to disable the button when nothing has been changed yet. In addition, now it is easier to know what we have edited so far in the Services Manager. For every change over a service, the new value is explicitly highlighted by using the special mark (*). For example, when you change the start mode of a service from “On boot” to “On demand”, you will see “(*) On Demand” in the corresponding column, see example. The list of services and the changes performed on them can be quite long. So in addition to the new mark, now a confirmation popup is shown up when using the “Apply” or “OK” button. 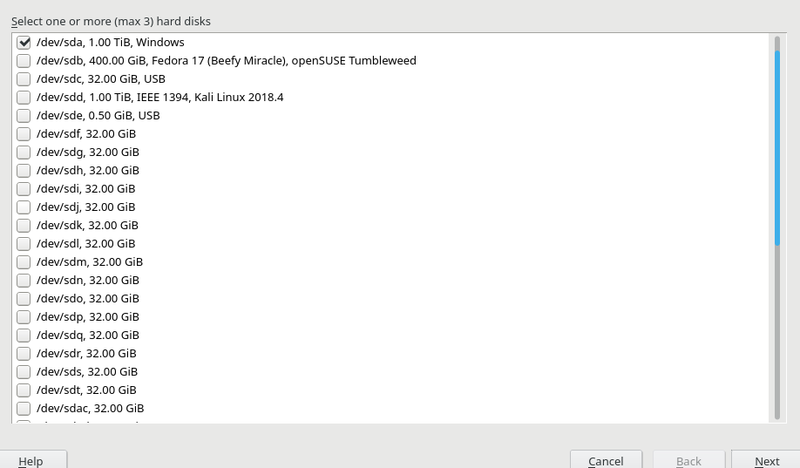 This popup will present a summary with all changes that will be applied, that is, what services will be started or stopped, what services will change its start mode to “on boot”, “on demand” or “manually”, and even which will be the new default Systemd Target in case you have modified it. See an example in the following screenshot. These improvements will reach openSUSE Tumbleweed soon and will be available in the upcoming versions of SLE (SLE-15-SP1) and openSUSE Leap (15.1). 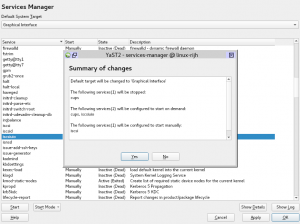 Related to the changes in the Service Manager and in a more developer-oriented note. 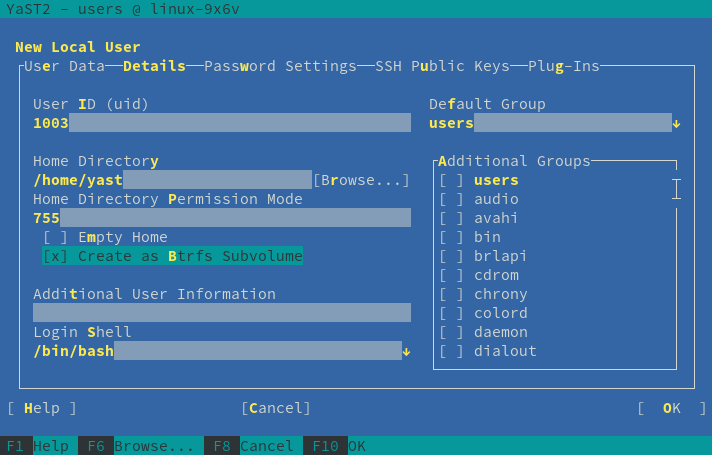 Yast2 Systemd (the set of YaST components that handle Systemd units under the hood) also has been completely reorganized in a more Ruby compliant way. Moving from YCP-style modules to a set of classes that behave like nice citizens of the Ruby ecosystem in their own proper namespace. 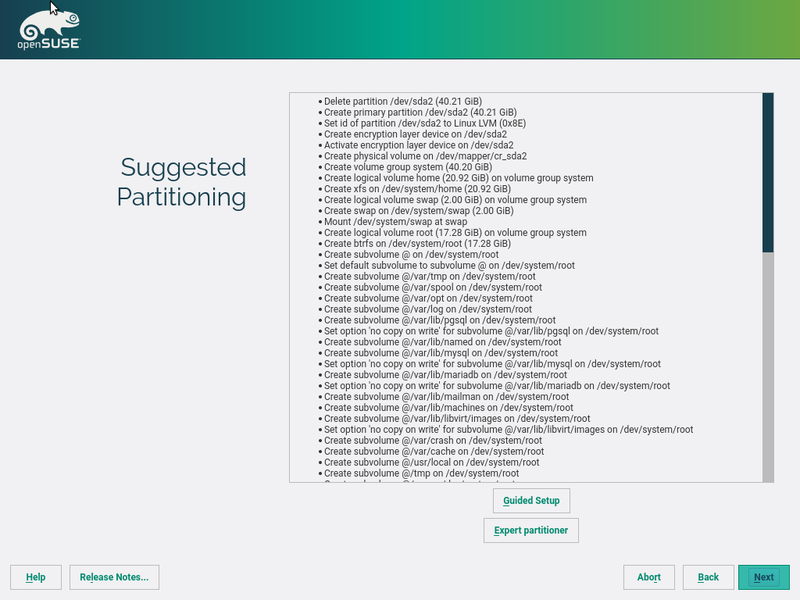 And to continue with refinements over the features introduced in the previous sprint, we have also improved the support for the so-called Xen virtual partitions that we presented in our previous post. As explained there, the old storage stack used to represent the Xen devices like /dev/xvda1 as partitions of a non-existing /dev/xvda hard disk. In the new stack, those devices are treated as they deserve, as independent block devices on themselves with no made-up disks coming from nowhere. 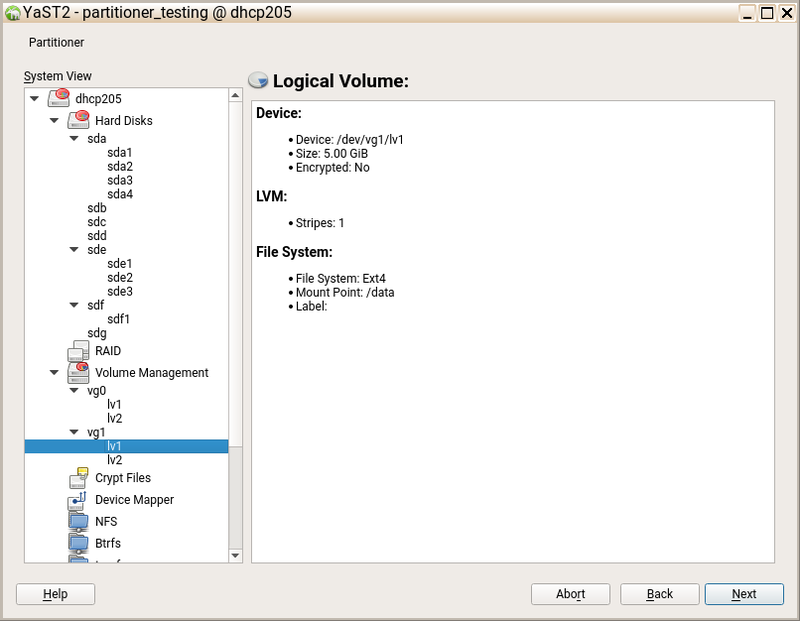 But AutoYaST profiles from a SLE-12 or Leap 42.x still pretend there are hard disks grouping the Xen virtual partitions. 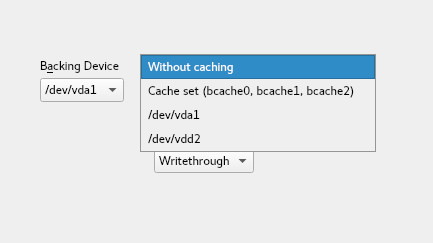 So in addition to the fixes introduced in the Partitioner during the previous sprint, we also had to teach the new storage stack how to handle fanciful AutoYaST <drive> sections like this, used to describe groups of Xen devices (xvda1 and xvda2 really exist in the system, xvda doesn’t). 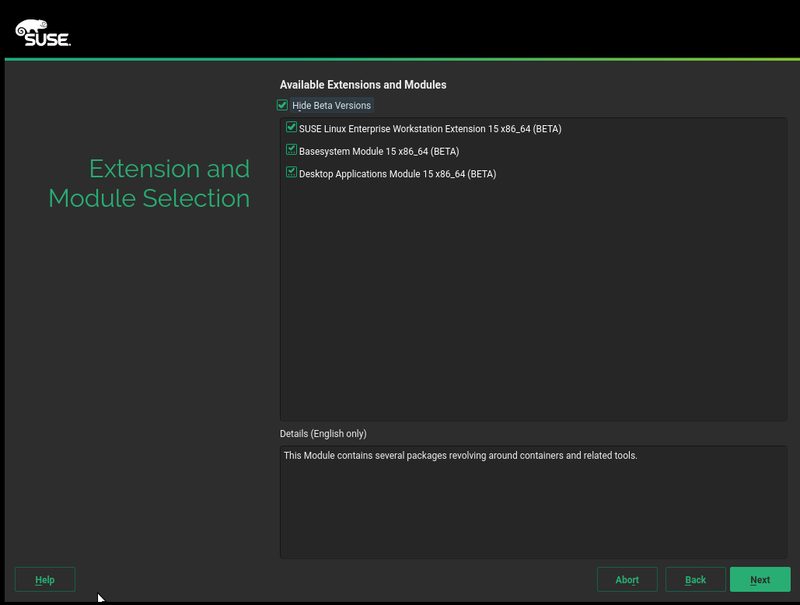 The fix will be released as an installer self-update patch so users installing SLE-15 (with access to a self-update repository) can take advantage of it. In the mid term we will have to come up with a more realistic format to represent such devices in the AutoYaST profiles, but so far the limitations of the current AutoYaST format enforces us to keep the current approach. But that’s not the only new skill of Storage-ng for this sprint. 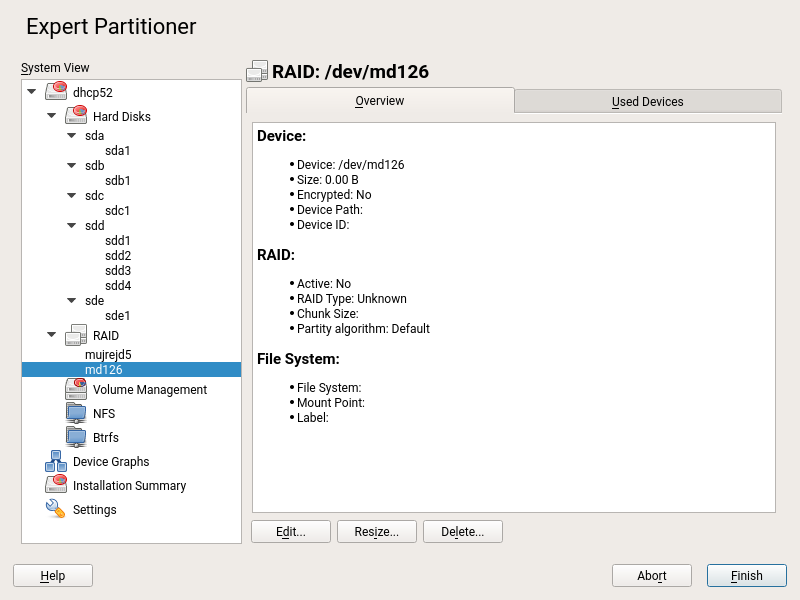 It also learned how to better manage inactive RAID arrays. MD RAID arrays are built to handle failures of the underlying physical devices. 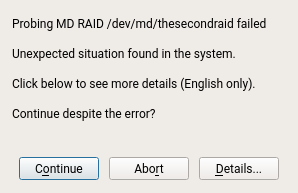 When some of the devices fail, the RAID becomes “degraded” which means the data is still accessible but it’s time to fix things. When too many devices suffer a fault, the RAID becomes inactive and it cannot operate any longer until it’s repaired. Our Partitioner was not handling this situation well, popping up a generic “unexpected situation” error message. We have fixed that, and the storage stack doesn’t go nuts any longer if an inactive RAID array is found. Even more, it now shows an “Active: Yes/No” field under the RAID heading to inform the user in case the RAID is in such bad shape. All that will be soon available as a maintenance update for SLE-15 and Leap 15.0. 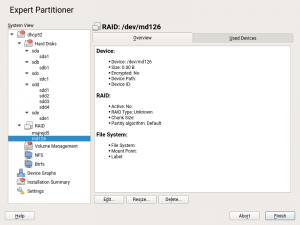 So far, no mechanisms have been introduced to stop the user from modifying an inactive RAID array with the Partitioner. 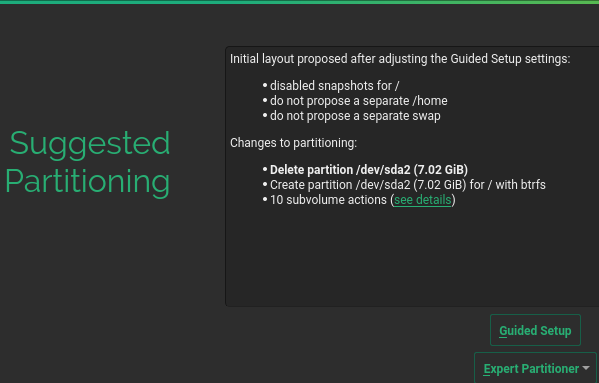 That will come in the future, together with other MD RAID improvements in Storage-ng targeting future releases of SLE and openSUSE Leap. 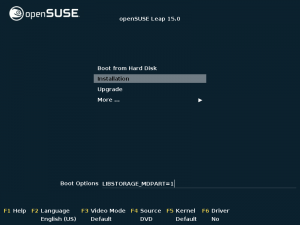 It’s quite embarrassing but it turned out that the Installation Server YaST module in SLE15 and openSUSE Leap 15.0 is not able to add the SLE15/Leap15 installation media. The reason is that the new media use a different repository format and the Installation Server module crashed when trying to add a new repository. Fortunately the fix was small and allows adding the new media correctly. 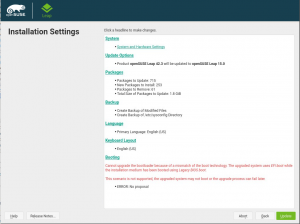 We plan to release a maintenance update for SLE15, openSUSE Leap 15.0 and SLE12-SP3. 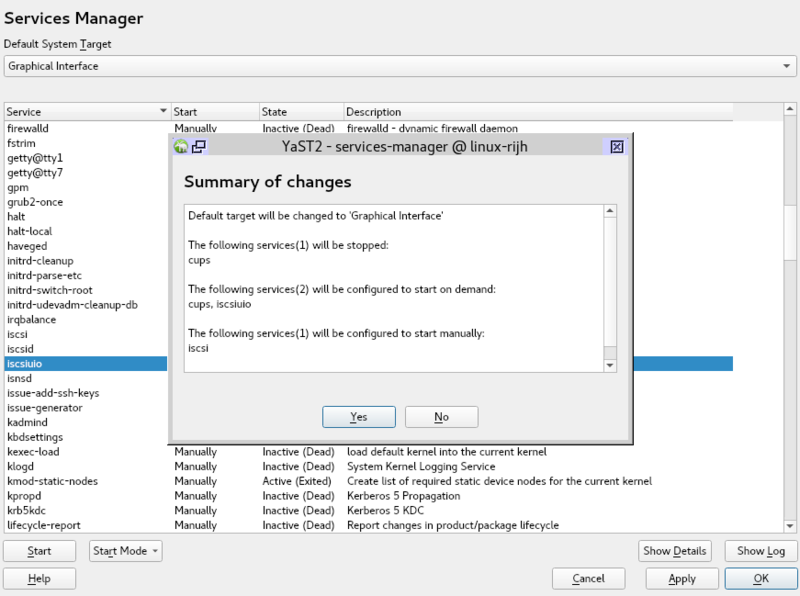 It turned out that the code in SLE11-SP4 is more robust and does not crash so we do not need an update there. We recently got a bug report about how hard was to read the help text in the installation screen explaining the system roles. So we took it as an opportunity to try how flexible our help text system is. Adding some richtext format made it look much better in graphical mode and also surprisingly well text mode. 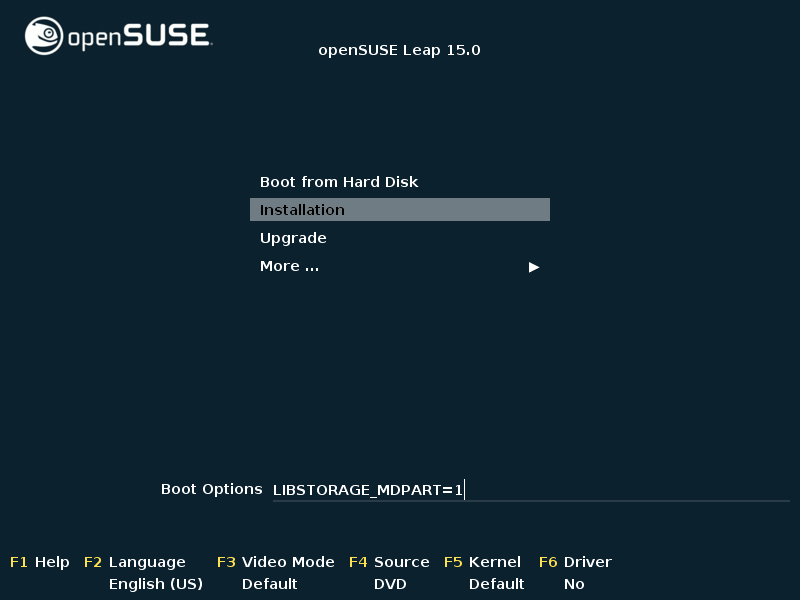 Let’s see some screenshots from Leap 15.0, although the fix applies to as well to openSUSE Tumbleweed and the SLE15 family. This is how it looked before the fix. And that how it looks now, in both Qt and Ncurses, with the new format. 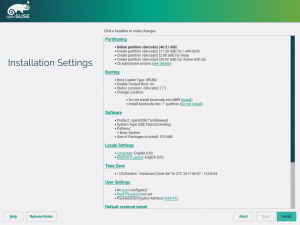 The YaST HTTP server module allows enabling the PHP support in the Apache web server configuration. However, as the module is not actively developed it turned out that the PHP support was broken. 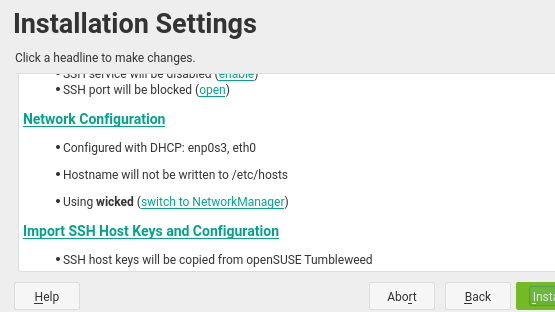 YaST wanted to install the apache2-mod_php5 package which is not available in openSUSE Leap 15.0 or SLE15, there is a newer apache2-mod_php7 package. After checking the other required packages it turned out that a similar problem exists for some other Apache modules. To avoid this issue in the future again we have added an additional test which checks the availability of all potentially installed packages. If there is a new version or a package is dropped we should be notified earlier by continuous integration instead of an user bug report later. Of course, in addition to the mentioned highlights we have fixed several small and medium bugs. And we plan to continue improving YaST in many ways… and to keep you punctually updated. So don’t go too far away. Five weeks without blogging is certainly a quite an hiatus for the YaST Team. But fear no more, we are back! This is the first time in quite a while in which our post is not titled “Highlights of YaST Development Sprint” and there are good reasons for that. 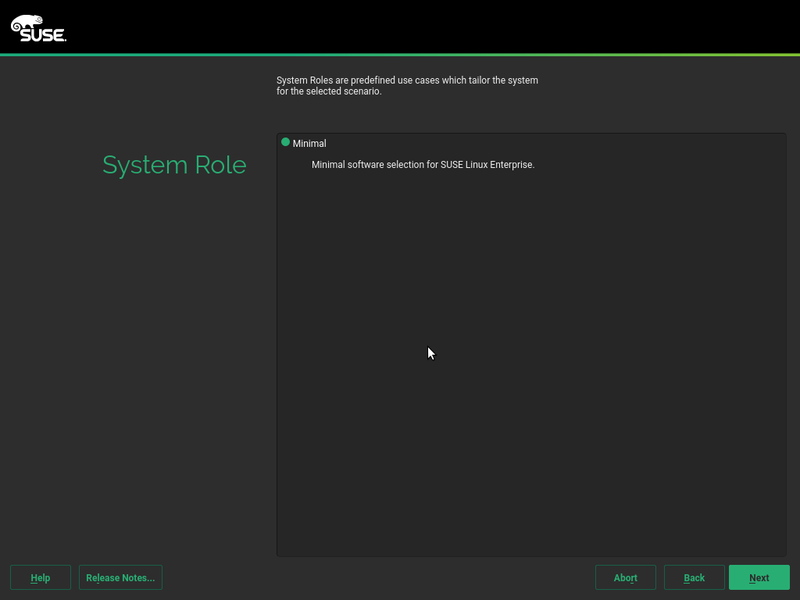 Now that openSUSE Leap 15.0 is out and SUSE Enterprise Linux 15 is ready to be shipped, we felt it was time to rethink our activities. For the duration of the storage-ng development, we had split the YaST team into two sub-teams: Team S for Storage and Team R for the Rest. But now new challenges await us; there are some things that were pushed aside because getting storage-ng into an acceptable state had top priority. We decided we’d try an approach that other development teams in SUSE have already been using successfully: split up the YaST team into “squads” of 3-5 people each for the duration of a couple of sprints. Each squad is centered around a big topic that needs to be addressed. There is no long-term fixed assignment of anyone to any squad; the idea is to shuffle people and thus know-how around as needed, of course taking each developer’s interests into account. So the squads and the topics will change every few weeks. Is this the pure spirit of Scrum and the agile bible? We don’t know. And we don’t care. The agile spirit is to adapt your work based on what makes sense in every moment. We work the agile way, so the way of working also has to be agile. The next sprint’s report will contain more information about the first set of squads and the results they are delivering. But meanwhile we have done much more than just reorganizing our forces. 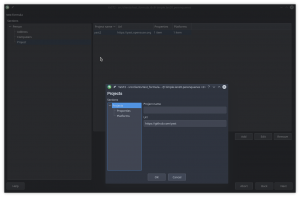 While the sprint-based work was suspended (thus the blog title not containing the word “sprint”), the YaST team still managed to put out of the door quite some features, improvements and bug fixes targeting mainly Tumbleweed. After quite some effort, the YaST team has completely rewritten the Expert Partitioner from scratch using the new storage stack (a.k.a. storage-ng). And although this new Expert Partitioner already offers practically all the same features than the old one, some last options are still coming. 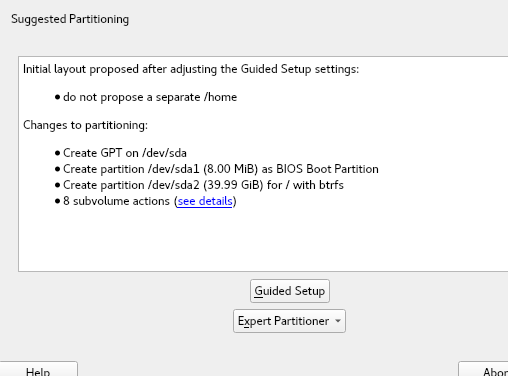 One them in the button for moving partitions, which saves us of a lot unnecessary work in many cases. 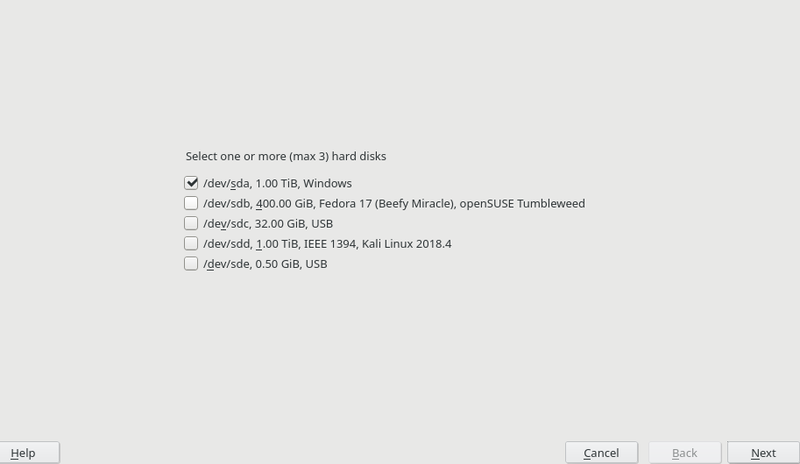 For example, imagine you are installing openSUSE Tumbleweed and the installer automatically proposes you to create a partition for root and, just following it, a second partition for home. In case you don’t like the default proposed sizes (e.g. because you want a bigger root), you have to use the Expert Partitioner to fix the situation. 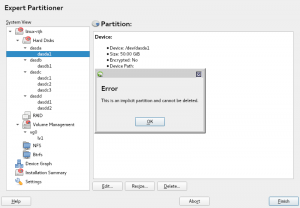 You have to completely remove the home partition, resize root for enlarging it and then create home again with the same options than before. Now, with the “Move” button, this kind of modifications are much easier. For that example, you can accomplish exactly the same by simply resizing home (without deleting it completely) and moving the resized home closer to the end of the disk (by using Move button). 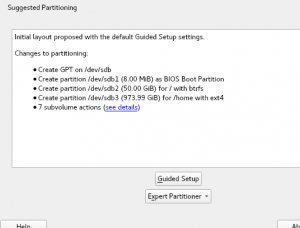 After moving the home partition, you have enough free space for enlarging the root partition. 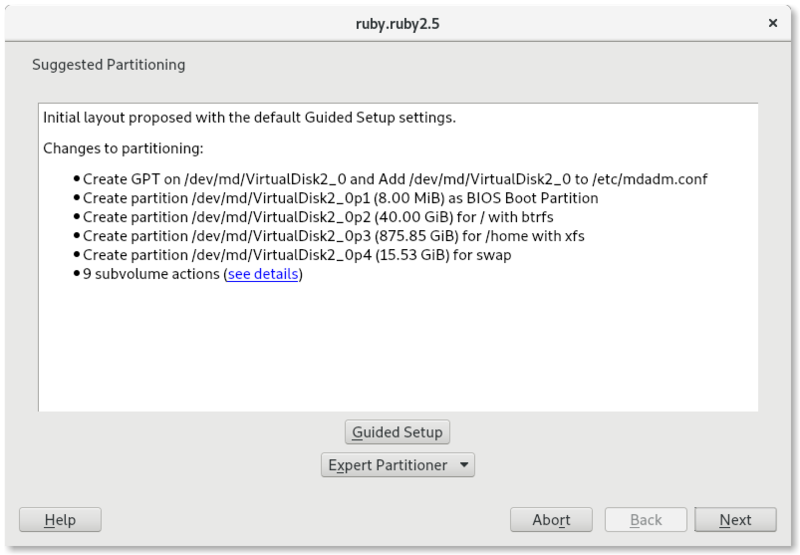 In the following screenshot you can see this dialog for moving partitions. 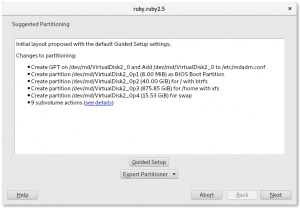 One important thing to take into account is that the movement of partitions is only possible for new partitions, that is, it is not possible to move partitions that already exist on disk. 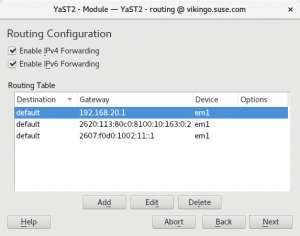 And speaking about the Partitioner and its relationship with the rest of the system, the transition from SysVinit to Systemd changed the behavior of (open)SUSE concerning mounting devices. 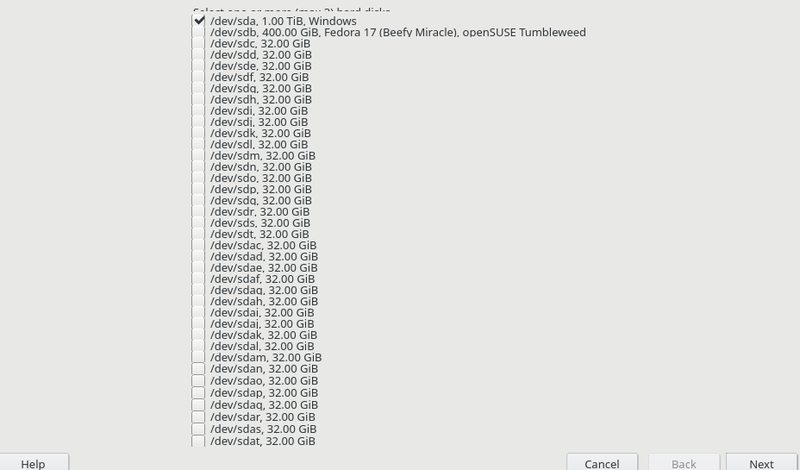 Systemd generates mount units for various file systems, e.g. those listed in /etc/fstab. The result is that Systemd may automatically mount any file system, even if that file system has been manually unmounted before. This can be problematic when the user needs the file system to be unmounted for certain operations, like resizing or unplugging. Thus, now the Partitioner uses a new mechanism to prevent that to happen during its execution. 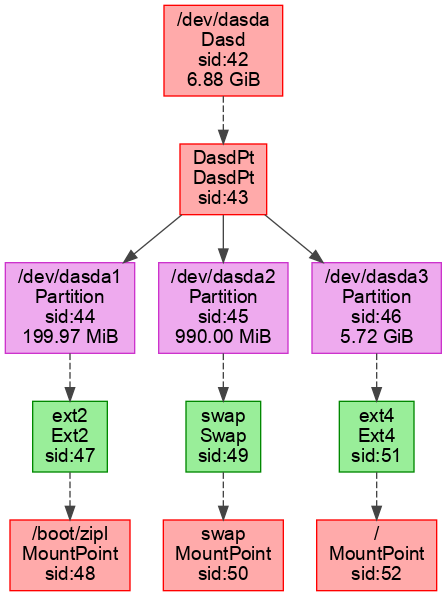 Starting with version 4.0.194, the yast2-storage-ng package includes and uses the script /usr/lib/YaST2/bin/mask-systemd-units to mask all mount and swap units one by one. 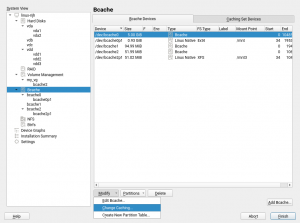 The script might also be useful for direct use of system administrators. So… profit! And since we speak about how Systemd has changed the way the overall system works, it’s also worth noticing how more and more services has been adopting the Systemd journal for its logging purposes. 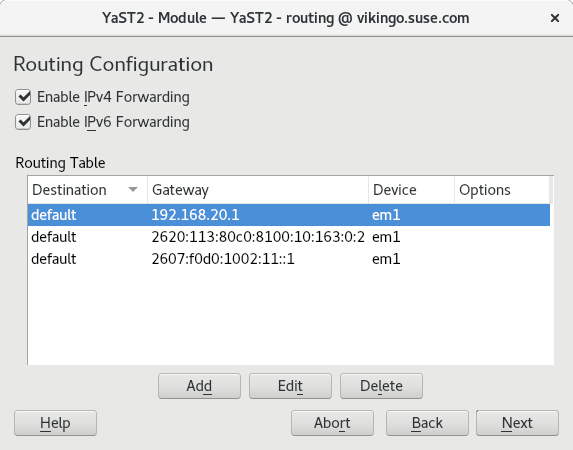 Some of the existing YaST modules to configure a given service include a button to show the logs of such service. In the past, they used to display the content of /var/log/messages with some basic filtering to ensure only the information relative to the service (e.g. tftp) was shown. But that didn’t work out of the box for services already using the Systemd journal, and we had gotten quite some bug reports about it. Fortunately, the solution is really at our fingertips. You surely know by now that there is a YaST module for viewing the journal content with powerful queries for filtering, searching and so so on. The obvious solution is to use that YaST journal module also within other YaST modules, in order to show domain specific logs. So far we adapted the YaST tftp module, but it will be easy to fix also other places that use the old approach that no longer works. 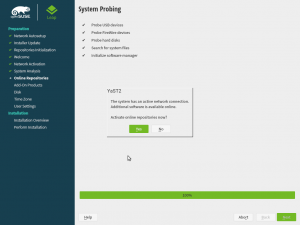 And this is how it looks when you click the “Show Logs” button in the YaST module to configure tftp. The YaST repositories manager displays the repositories sorted by priority. But some people have a lot of repositories in their system and make no use of the priorities. Since there was not a clear second criteria, the order of the repository list looked quite arbitrary in those cases. Now all the repositories with the same priority are sorted by name, which makes more sense. See how it looked before the improvement. And compare to how it looks now. 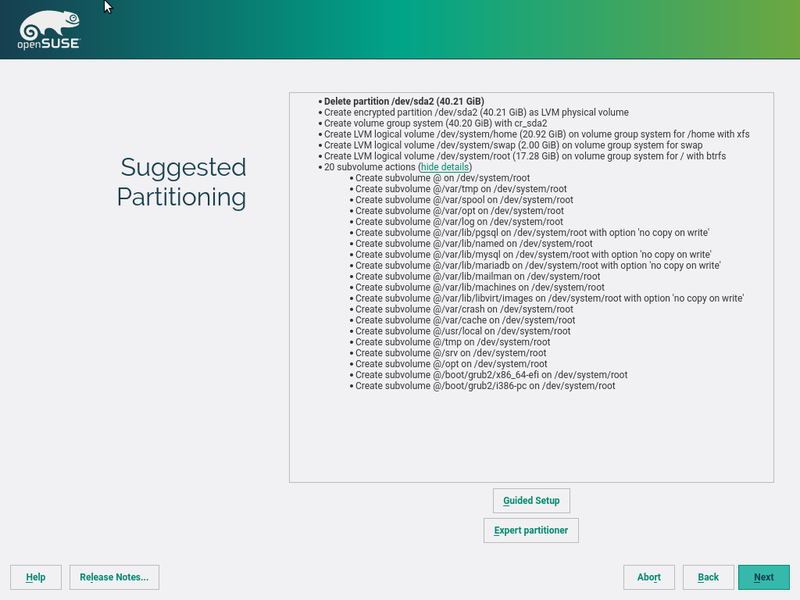 We got a rather interesting amount of bug reports for openSUSE Leap 15.0 about collisions between the grub2 and grub2-efi bootloaders during the upgrade process. 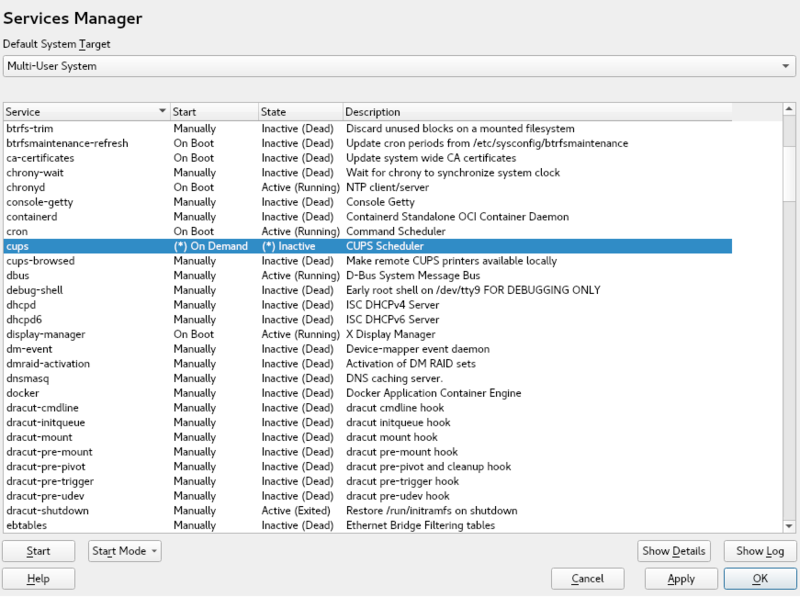 The root cause was that the installation medium used a different booting mode than the installed system being upgraded. For example, the installed system uses EFI boot but the upgrade is executed from a DVD booted via legacy mode (i.e. disabling EFI). 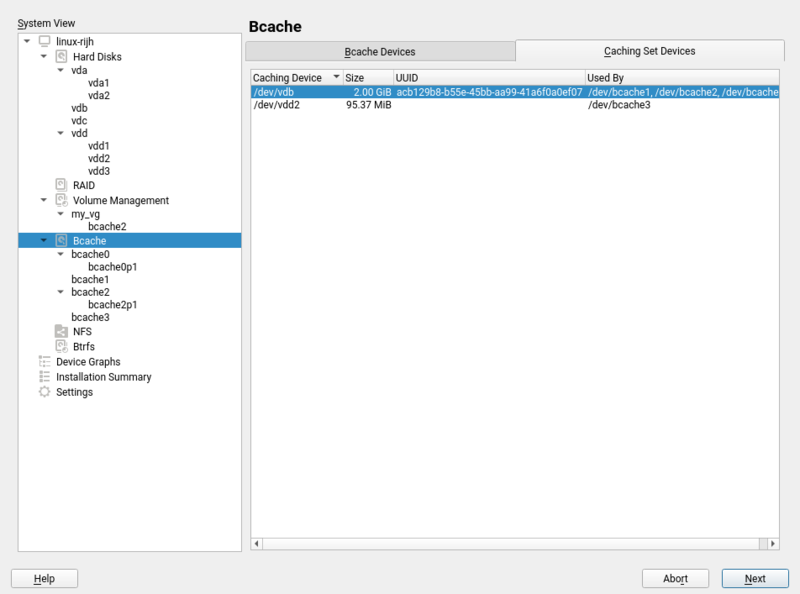 In that case, the kernel running from the DVD does not expose some devices that are needed to write to the EFI boot manager. 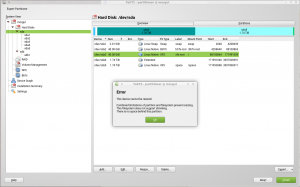 Moreover, it causes troubles to the updater itself, which does not expect this situation. 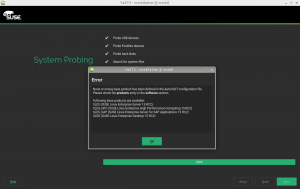 Looking at the majority of the bug reports, it is obvious that in most cases it happens by accident rather than the user consciously trying to mix both boot modes. So to improve the user experience we added a warning that will be displayed when this situation is detected, before starting the upgrade. That gives the user the possibility to fix the problem or to continue if the situation is really intentional. 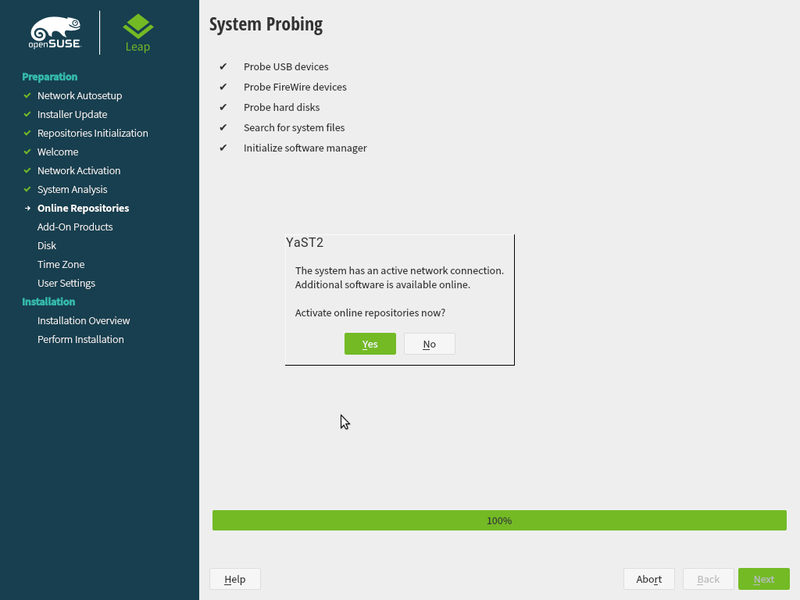 Below you can see how it looks, both in graphical and text mode, in a patched openSUSE Leap 15.0 installation media, since the feature was developed too late to be included in the official installation images. As commented at the beginning of the post, we have restarted the sprint-based work, although with a little twist to try out the squads approach. But before we come back to you to show the results of the first squad-based sprint, we have something else to do – Hack Week 17!. Again it’s the time of the year for all SUSE Engineers (and any Open Source enthusiast willing to join) to innovate and learn new stuff. So please forgive us if we go too deep into playing and we are less responsive next week. See you again soon! 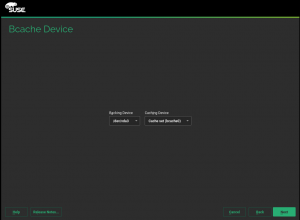 We are still digesting all the great content and conversations from openSUSE Conference 2017, but the development machine never stops, so here we are with the report of our post-conference sprint. 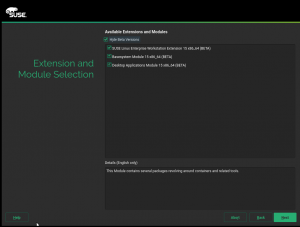 You have been reading for months about the new stack for managing storage devices and the new features and improvements it will bring to the installation. But so far there was no way to view and fine-tune the details of those devices. During this sprint we have implemented a first prototype of the new version of the YaST2 Expert Partitioner, that awesome tool you can invoke with yast2 storage. 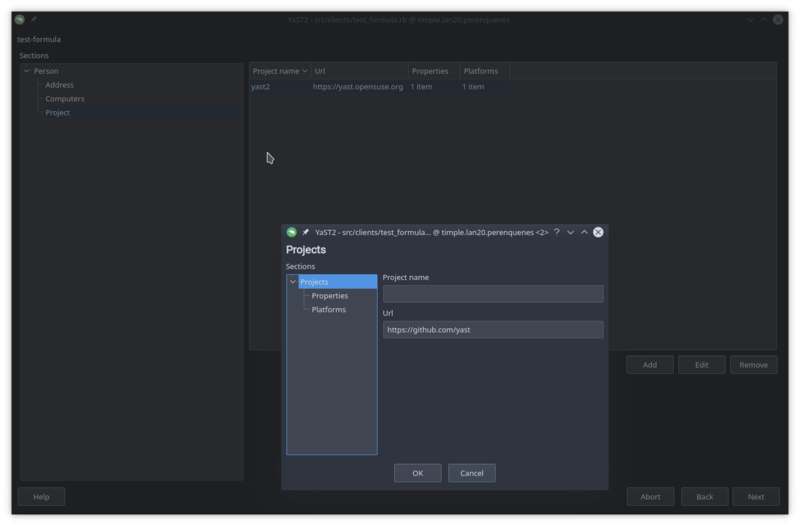 To make the transition easier and to be able to submit it to Tumbleweed as soon as possible (hopefully in a couple of months, together with the rest of the new stack) we decided to postpone any UI redesign. 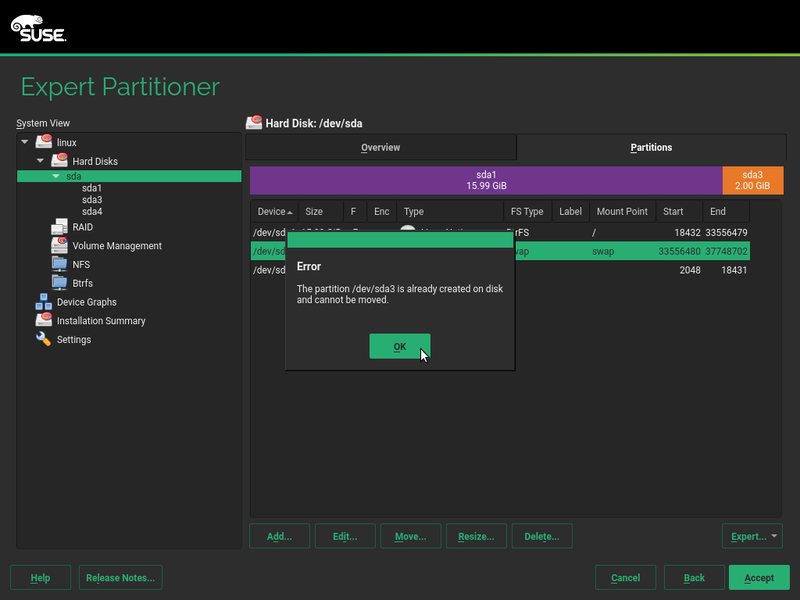 So this first incarnation of the new expert partitioner looks and behaves exactly like the one available in current versions of (open)SUSE. To try it out (on a scratch machine! 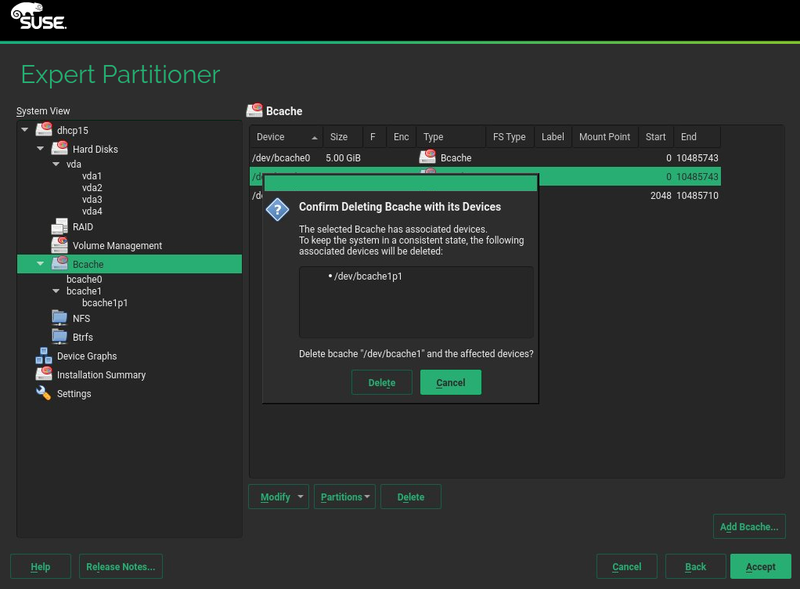 ), add a repository and remove the current storage library, as described in yast-storage-ng: Trying on Running System and then run zypper install yast2-partitioner. 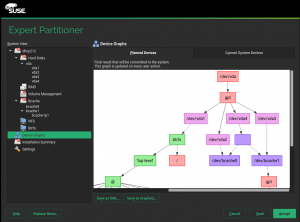 As you may have noticed, we split the partitioner in a separate package, unlike the current version that was part of the basic yast2-storage. The new expert partitioner will only give you a read-only view of things similar to the following screenshots, not being able to modify anything yet. The other kinds of devices that you can see in the navigation tree are so far only stubs. You may feel a bit underwhelmed by this, and that’s OK, because most of the effort that we spent on this is actually hidden in a set of nice UI classes which we use to reconstruct the legacy procedural UI code. 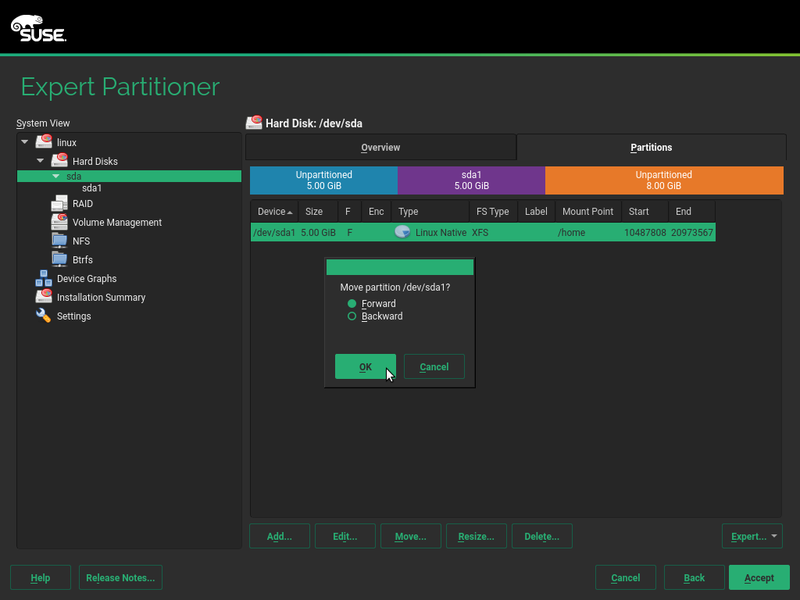 So the new expert partitioner not only relies on the revamped storage stack, but also on a powerful and reusable set of shiny UI components. If you ever need to code a user interface for YaST, the next section is for you. This section may be a little bit too developer-oriented, so feel free to skip it if you don’t care about the YaST implementation details. If, to the contrary, you want to have a glance at the new YaST widgets, go ahead. 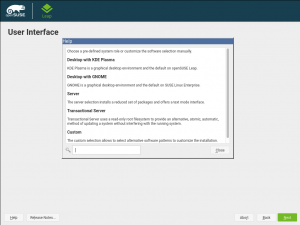 Before diving into the new widgets, let us introduce what CWM is. It stands for Common Widget Manipulation and it is an old procedural YaST module which puts together a widget, its help and its callbacks. These callbacks are used to initialize, validate and store the content of the widget. 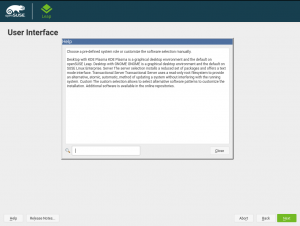 This organization allows easier re-usability of widgets, which are then put together into a dialog. We also made an object-oriented version of CWM, which uses the old one under the hood, but is based on classes. So the contents and callbacks all live in their own class which is then used in dialogs. It is already used e.g. in the bootloader module. As part of the Expert Partitioner rewrite, we created new types of reusable widgets, like Table or Tree, that are now available for its usage in any YaST module. We also realized that it would be cool to be able to construct full dialogs out of smaller “bricks”, because the partitioner dialogs usually have rather complex structures in which some parts are shared by several dialogs. For this purpose we added new kinds of widgets – a Page which represents a part of a dialog that contains other widgets, and a Pager which allows switching of pages. So far there are two different pagers. 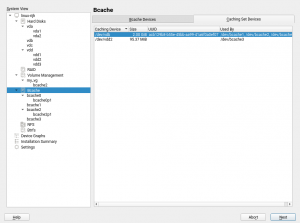 The first one is Tabs which shows a set of tabs and allows switching among them and the second one is TreePager which allows switching pages according the item selected in a tree. As you can see in the screenshots from the Expert Partitioner, there is a tree on the left side, which decides which page is shown on the right side. That right side sometimes contains a set of tabs, which decides what is displayed for every single tab. Building blocks for the win! A new option to allocate memory high during enable of Kdump was already implemented in YaST interface but unavailable through command-line. From the next Service Pack (i.e. 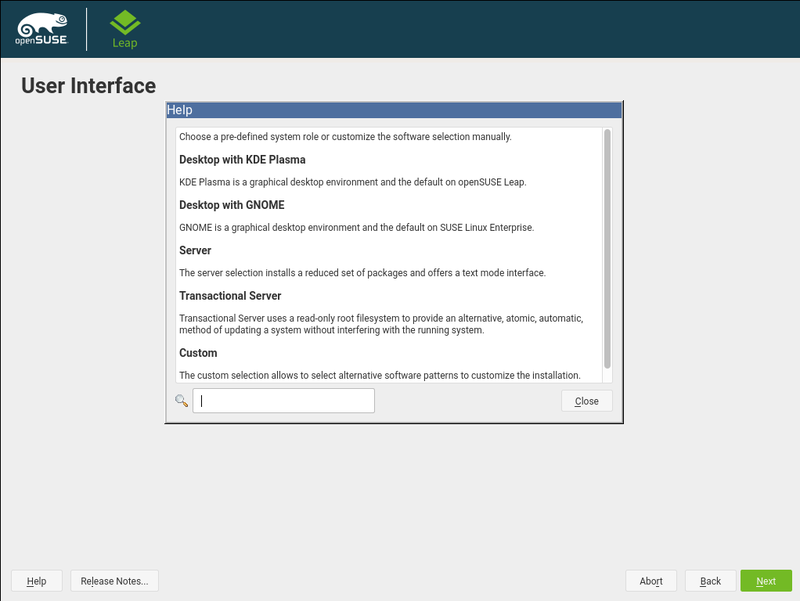 SLES 12 SP3, Leap 42.3, and Tumbleweed), the user will be able also to use this option in command-line and scripts. In order to do that you can just use the command yast2 kdump enable alloc_mem=low,high, where low sets Kdump Low Memory and high sets Kdump High Memory. For current users of Kdump command line, the old command to enable kdump yast2 kdump enable alloc_mem=$mem will still work as before, keeping its compatibility. 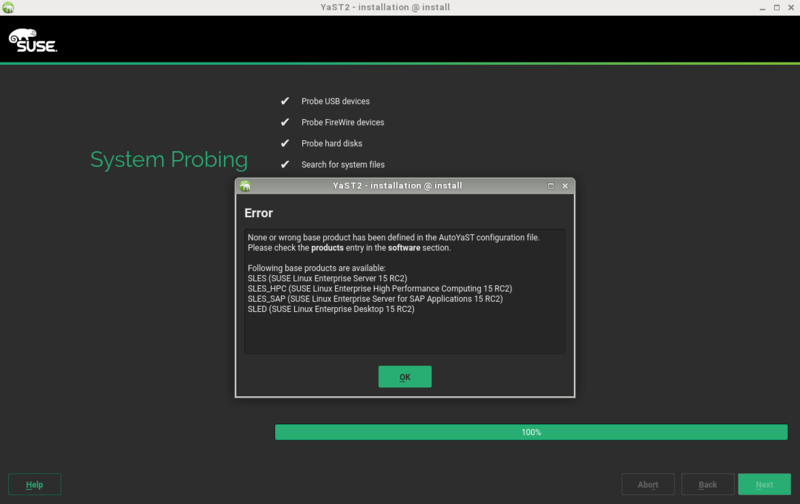 During installation, when YaST detects in the system a particular filesystem or technology for which the installer would need additional packages to deal with, it alerts the user and tries to install those packages. 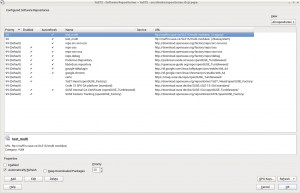 A very visible case are the ntfs-3g and ntfsprogs packages, installed when a MS Windows partition is found in the system. But, what happens if those packages are simply not available for installation? That’s the case of SLE12-SP3, which doesn’t include ntfs-3g. Should the installer block the installation of SLE12-SP3 alongside an existing MS Windows just because of that? Fortunately we have solved that problem for the upcoming SLE12-SP3… and also created the code infrastructure to avoid similar problems in the future. Now we have a separate list for packages that would be nice to have installed in order to deal with a particular technology but that are not 100% mandatory to the point of blocking the installation process if they are not available. So we don’t bother the user about things that cannot be solved anyway. But apart from looking into the future, we keep taking care of the existing YaST modules and its supported scenarios. During this sprint, we also addressed some issues related to YaST Remote, when using the command line. 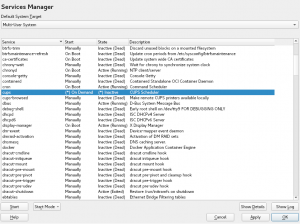 The command yast2 remote list was installing required packages for YaST Remote and also restarting the display manager. However, as this command is expected to be a read-only operation, it shouldn’t change anything in the system. Such a problem was solved and now this command just lists the status of remote options. Another issue was in the command yast2 remote allow=yes, which was opening a pop-up interface to alert the user about the changes in the system. Such a pop-up was impeding the use of this command in scripts. Therefore, we removed it when executing YaST Remote in command-line and, instead, we now just show a warning message on the console. 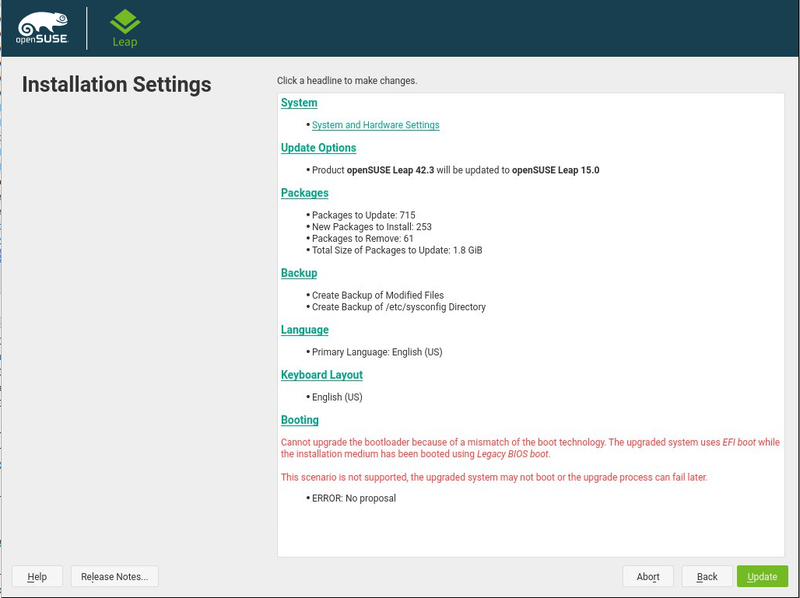 Both fixes were submitted as a maintenance update to all the supported versions of SLE and openSUSE and will reach our user as soon as they pass all the extra security checks performed by the respective maintenance teams. Of course, both fixes will also be included in future releases. The Expert Partitioner was not the only thing we did related to the new storage stack during this sprint. We also tried to improve how the information is presented to the user everywhere. Having a huge amount of information at a glance might be useful in certain cases… as long as that amount can be handled by a human brain! Since we don’t expect all our users to be androids, we decided to improve our storage actions summary. Now is much easier to understand what is going to happen in the disks after pressing the confirmation button. …with the new digested one. As you can see, the new summary carries the essential information in a clear and legible way. 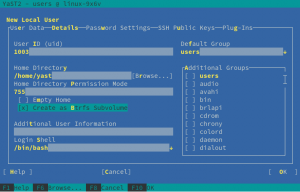 Delete actions are highlighted in bold and, moreover, the set of actions related to btrfs subvolumes are grouped in a collapsible list. 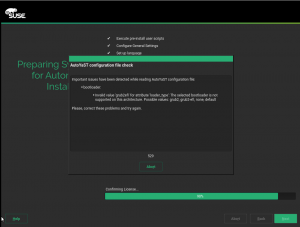 Integration of AutoYaST with the new storage has also received our attention during this sprint. 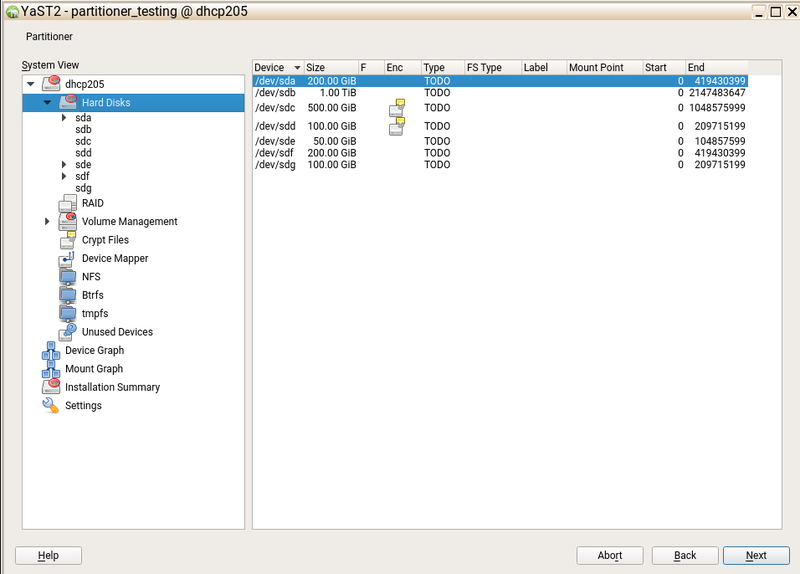 Now, the summary dialog in AutoYaST shows the list of storage actions in the new compact way. 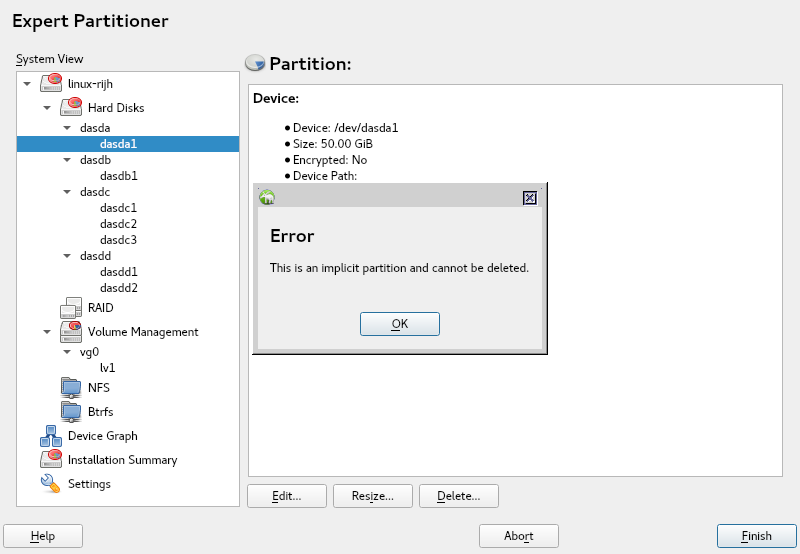 Currently it is not possible to edit partitions from this AutoYaST dialog, but stay tuned for more information in upcoming sprints. 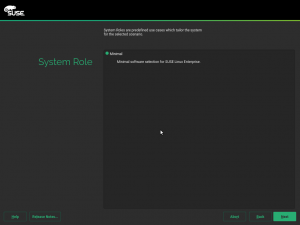 You already know how powerful can AutoYaST be in terms of automating complex installations based on flexible profiles, even trying its best if the profile contains parts that are challenging to implement in the target system. 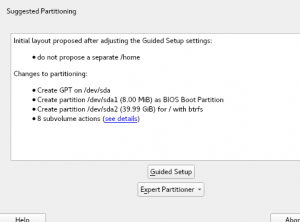 One of those adjustments that AutoYaST can perform is reducing the size of some of the partitions specified in the provided profile if the target disk is not big enough, to make sure the installation doesn’t get blocked just by some missing space. The mechanism works very well but that kind of automatic adjustments can be unexpected and can produce undesired results. That’s why we have added the following warning message. 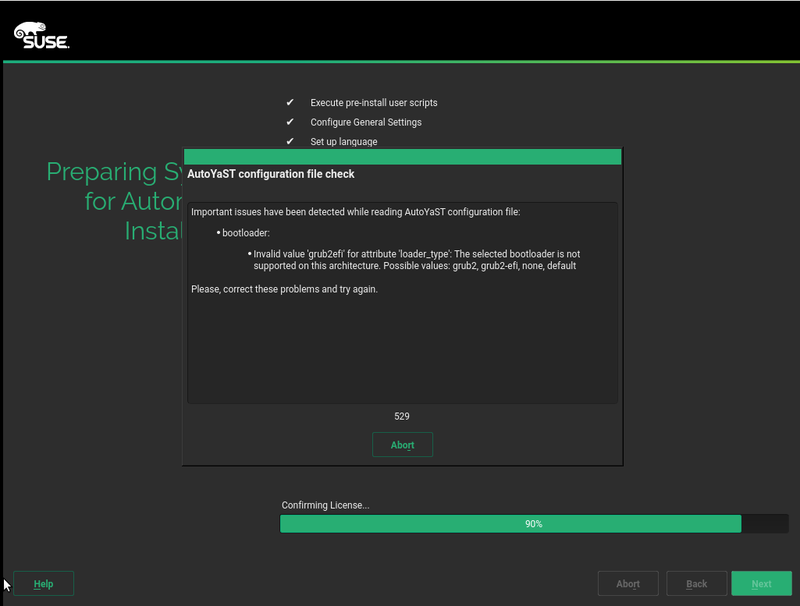 Of course, this new warning uses the usual AutoYaST reporting mechanisms, so even if the users are not in front of the screen (something very common when performing an unattended installation) they will be notified about the special circumstance. And now, another dose of technical content for those of you that love to lurk into the kitchen. In the report of the sprint 30 we already described how we adopted Docker to power up our continuous integration process in the master branch of our repositories (the one in which we develop Tumbleweed and upcoming products). As also reported, we adopted the same solution for Libyui in the next sprint. And now it was the turn the branches of YaST that we use to maintain already released version of our products. Not a trivial task taking into account the many repositories YaST is divided in and the many products we provide maintenance for. If you want to refresh your memory about the whole topic of using Docker for the continuous integration infrastructure, here you can watch the talk Ladislav offered about the topic a few days ago in the openSUSE Conference 2017. If you don’t have a S/390 mainframe laying around, maybe you are not familiar with the concept of DASD (direct-access storage devices). 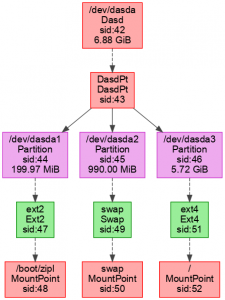 DASDs are used in mainframe basically as regular disks… just that they are not. 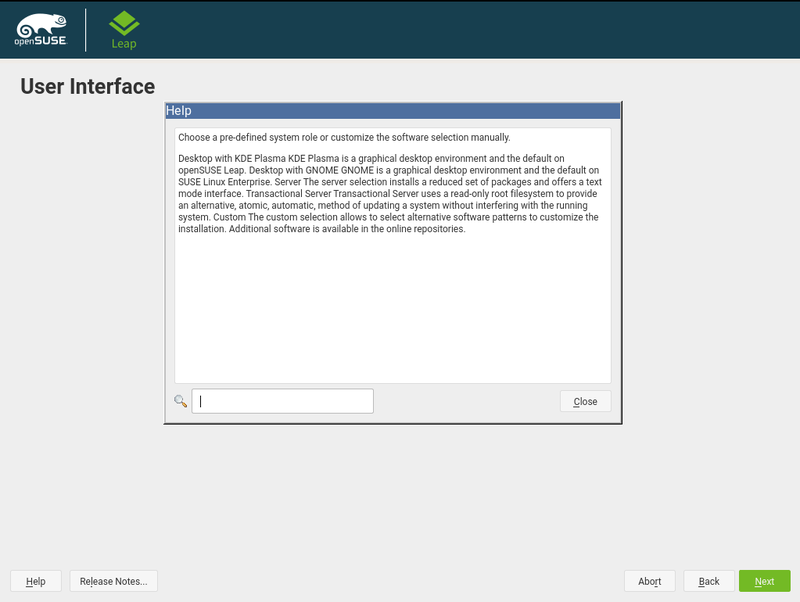 But thanks to YaST and libstorage, in (open)SUSE you don’t have to care about most of those details. 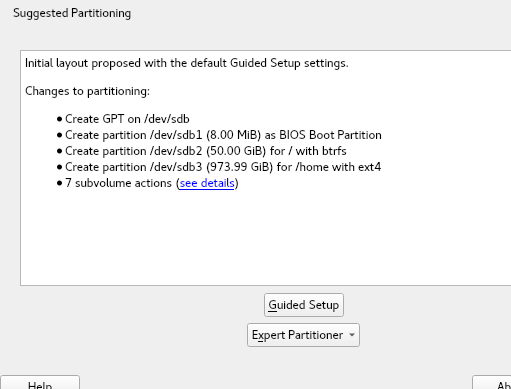 The expert partitioner and the installer allow you to treat DASDs almost as regular disks. During this sprint we adjusted the new libstorage, i.e. 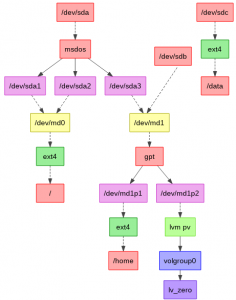 the library C++ based layer of the stack, to be able to deal with DASD. As usual with new features implemented in the library, the only “screenshot” we have to show is one of the graphs generated by the library. Enjoy. We want to have a shorter and more agile feedback loop regarding our development efforts. To achieve that, we have decided to shorten our Scrum sprints from the current three weeks to just two. So you will have more news from us in half a month. But a feedback loop works in both ways, so we also expect to have more news from you. 🙂 See you soon!